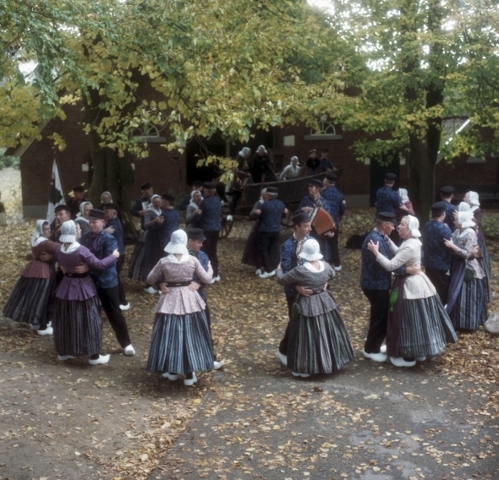 The Folkloristic Association Markelo, is one of the oldest folkloristic associations of The Nederlands. 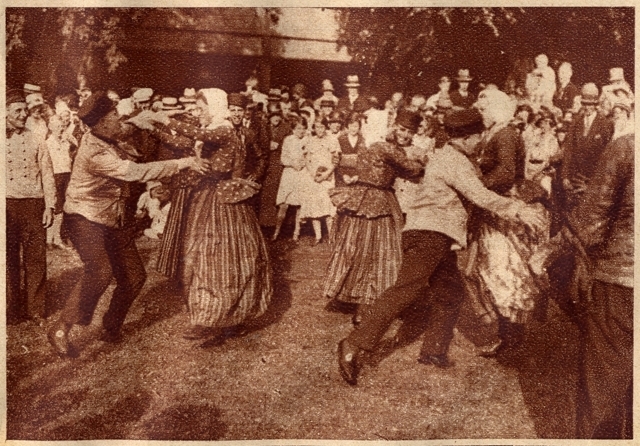 The occasion for raising the dancegroup was the birthday of Queen Wilhelmina on August 31, 1932The village Markelo received an invitation to perform on the birthday party on Palace The Loo in Apeldoorn. In 1957 Markelo celerated the jubilee of the different associations with the big event “Gouden Aren” (Golden Ares). This was also the occasion of raising the childrensgroup. In the beginning the performances of the adultsgroup were in Markelo and its direct surroudings. 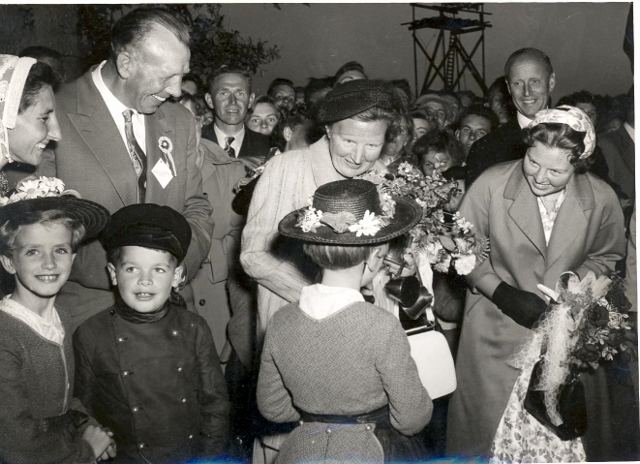 In 1950 there was the first performance outside of The Netherlands in Schwenningen (Germany). Later on different foreign trips followed and a lot of foreign groups came to Markelo. 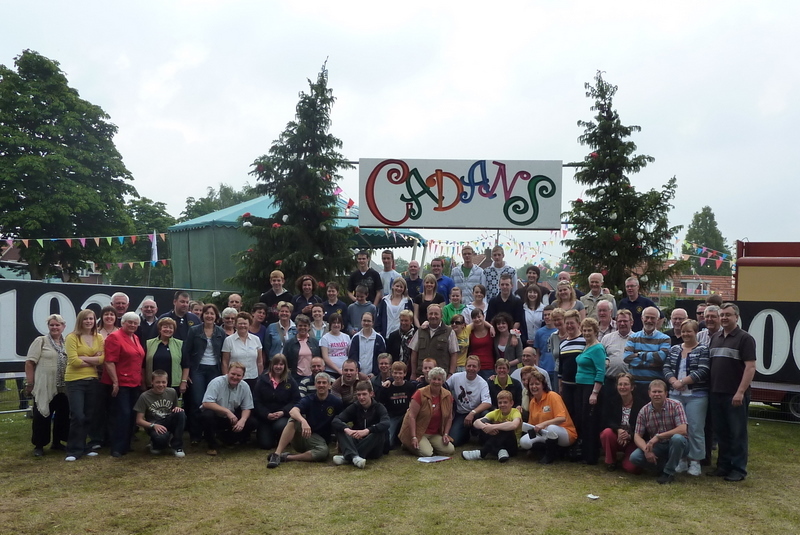 Different jubilee are wellknown as Eigenwijs, Eurowijs, Diamanten Folklore and recent Cadans. During these events there were a lot of performances from a lot of groups from all over The Netherlands and also from all over the World. There were a lot of activtities organised by the different associations. The guests stayed with a lot of families in Markelo and its direct surroundings. At the moment the association has about seventy enthusiastic members between thirty and seventy years. For extra information and bookings you can look at the contactpage.